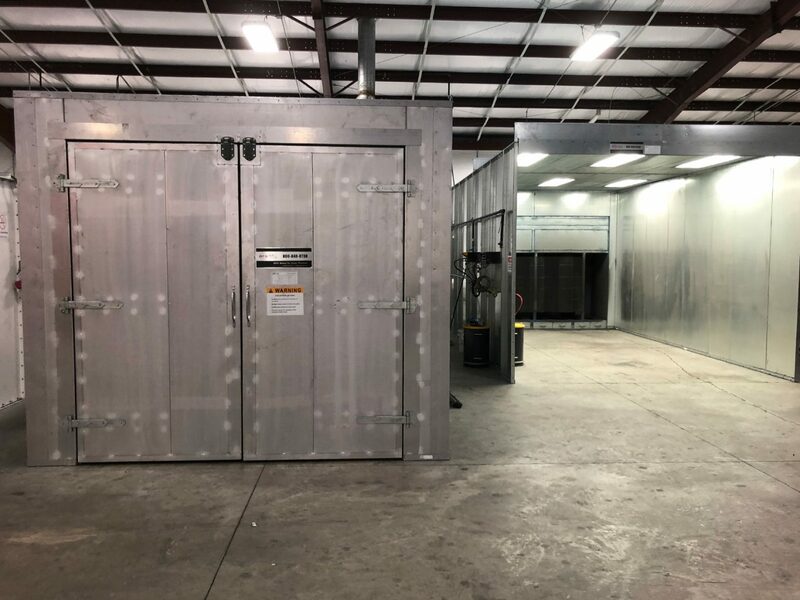 An expert in the automotive industry, GFS manufactures an extensive line of high-performance paint booths, prep environments, mix rooms and curing technology for body shops or collision centers. GFS offers high-quality, long-lasting solutions for businesses to prep, paint and cure coatings on trucks, tractors and vehicles in the construction and agriculture industries. Regardless of your process needs, GFS offers an incredibly diverse range of the finest industrial finishing equipment for businesses of all types and sizes. GFS has a long history and excellent reputation of designing state-of-the-art finishing environments for U.S. and international defense organizations to paint planes, helicopters and other military vehicles. Whether you are a hobbyist or a large manufacturer, GFS has a wide range of sizes and configurations of paint booths and finishing equipment to meet your wood finishing needs. Take your aircraft finishes to new heights with GFS. We design some of the most technologically advanced aviation finishing environments in the world for manufacturers and repair facilities to paint business jets, commercial aircraft and helicopters. State-of-the-art finishing equipment for large vehicles, GFS provides the most advanced technologies specifically designed for your heavy-duty truck finishing requirements. GFS paint booths and finishing equipment provide excellent contamination control and superior lighting for achieving high-quality finishes on boats and aquatic equipment. If you manufacture, maintain or service trains, buses or rail cars, look no further than GFS for a comprehensive line of spray booths and finishing equipment designed to improve quality and efficiency. If you’re not sure which industry you fall into, we’ve got you covered. GFS provides a wide array of solutions for every project to meet and exceed your finishing expectations.